We made a start on our bucket list yesterday by having a baking day! We picked up a girls baking book from our local library and had a good look through. Little Miss chose some cupcakes and I chose whoopie pies (they were a disaster so i'm not even going to blog about them any more than this!) The cupcakes however were the best I have ever made, icing included. We baked vanilla cupcakes in my new heart shaped silicon cake cases The Man bought in a closing down sale and added some strawberries to match this summery weather. Little Miss was really hands on and to my surprise our baking day was completely stress free! We managed to go on a family walk this week as well which was really nice! We went to Wetherspoons for a late breakfast, very tasty and at just under ten pounds it was a nice treat which didn't totally break the bank! Here's a lovely photo of The Man with his babies. Makes me smile every time! Today Little Miss had her cousin over to have their wedding dress fittings. They look so adorable and will totally steal the show in that church (fine by me- they look adorable!) My Mum is taking in their dresses to save money and they are very happy with their outfits which is the most important thing to me. My Mum stayed a bit to help me finish the service booklets my mother in law to be has kindly made for us. They're looking great. Maybe I'll tweet a sneak preview? I got a surprise in the post today. Recently I subscribed to a crafting magazine and wasn't expecting my welcome gift until the end of August so I was really pleased to have the gift arrive out of the blue! Just waiting on my swap gift and my new stroller now! Finally, I took part in a Twitter party tonight. 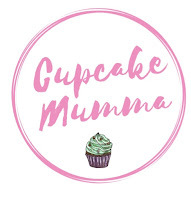 I don't join in very often with these things as they do clog up time lines but StoryOfMum does such good work, especially this month getting Mums to love their post baby bodies. We had to make a little model of an area of our body we'd perhaps like to improve, submit it online and wait for others to see our real bodies or our crafty mummy makes! Yep, here's my play dough version of me! The arrows show where I'd like to improve things mainly my under arms and my tummy/under bust area. In general though I'm a happy post baby body Mummy. I'm pleased with my skills here though, I tried to detail my wobbly tummy and stretch marks with mild success! Hope you're all having a great week, enjoying the sunshine and if you took part tonight on Twitter hope you had as much fun as me!